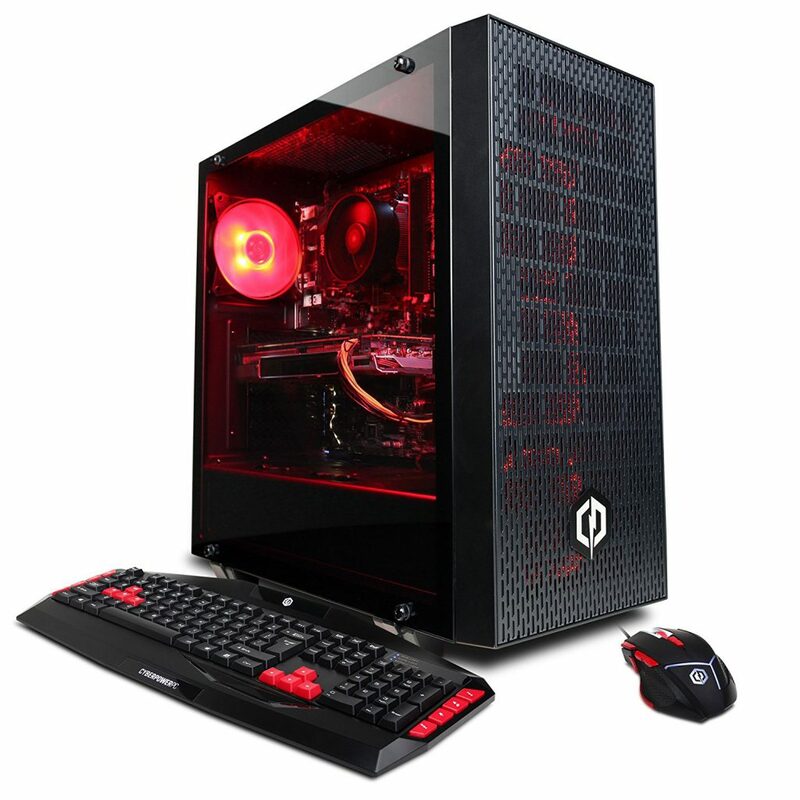 » PC Reviews » CyberPowerPC Gamer Master GMA6400CPG Review, A Ryzen Desktop That Is Worthwhile? CyberPowerPC (www.cyberpowerpc.com) has been around for a long time now and they’ve created high quality gaming PCs for thousands. 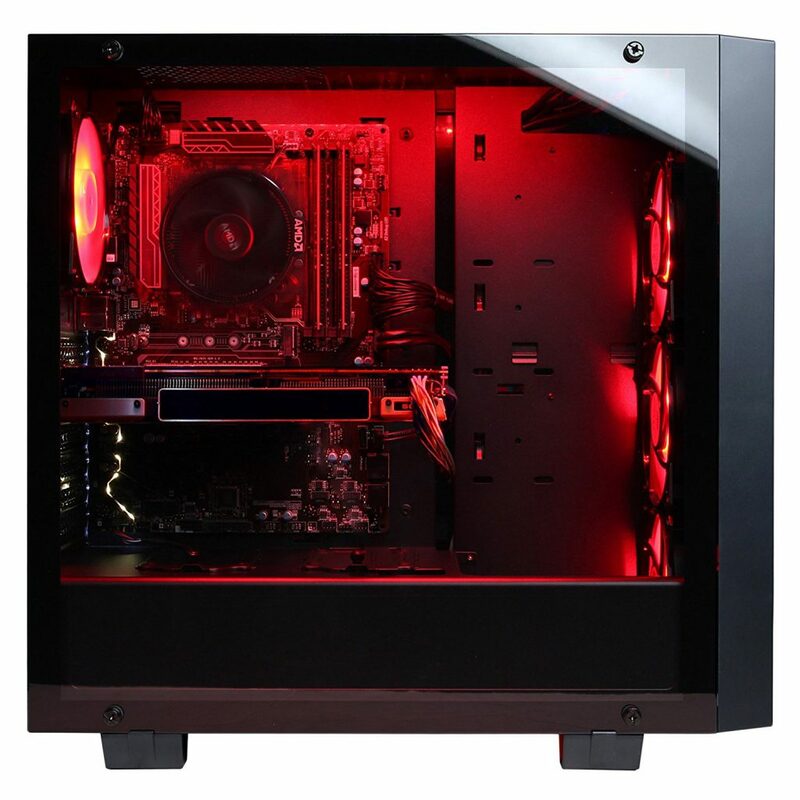 They have always used the newest hardware, moving fast to get the newest parts into updated models of most of their different PCs that are currently on the market. You’re able to customize a rig when you visit their base website, though you are most likely not getting the best possible price by getting a desktop that way. That’s a big reason why it makes sense to be looking at the different PCs that they have listed on Amazon today. For the most part, the pricing is fair for what you get and the build quality is something very important to them. With the GMA6400CPG model specifically they’ve gone with a Ryzen processor that is at a high level performance combined with other hardware specifications which makes it a solid choice for a gaming PC that’ll last for years to come. With gaming specifically, you need to look at a PCs processor and graphics card to be able to determine whether or not it’d be a good fit for the games that you plan on playing. With games getting more and more demanding every year, it’s in your best interest to have hardware in your rig that’ll stand the test of time. A Ryzen 7 1700X is used for the processor which is definitely more than enough for today’s games, even the extremely high demanding ones. Ryzen 7 processors are usually not even listed on the recommended system requirements for games since something like the Ryzen 5 1600 is still the ideal Ryzen CPU for gaming. There is a base Cooler Master air cooler used for cooling the 1700X here which gets the job done for what the processor is able to do at a base level. If you’re wanting to test the limits of overclocking it then you’ll want to upgrade to a liquid cooler or simply a better air cooler to avoid damaging the processor. This base cooler won’t be enough for heavy overclockers. Even at the stock settings for the 1700X you’ll be smashing through the recommended requirements for basically anything that has been recently released and when it comes to content creation it’s one of the best CPUs on the market when you want those faster rendering speeds. 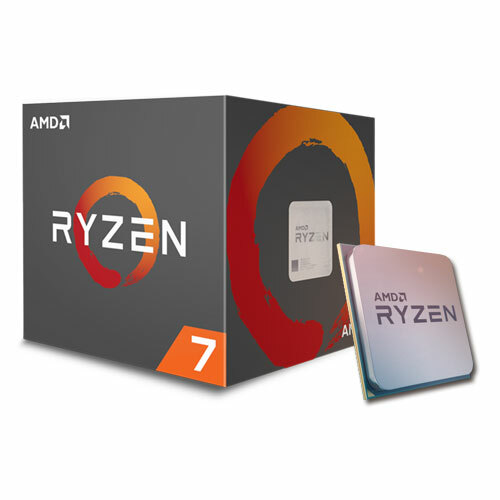 Ryzen was made with heavy processing tasks in mind so if video editing, graphics editing and other similar tasks are what you plan to do then this has the ideal processor to get it done fast. A GTX 1070 Ti is used for the graphics card here which is an amazing card to use, especially when combining it with the 1700X processor. 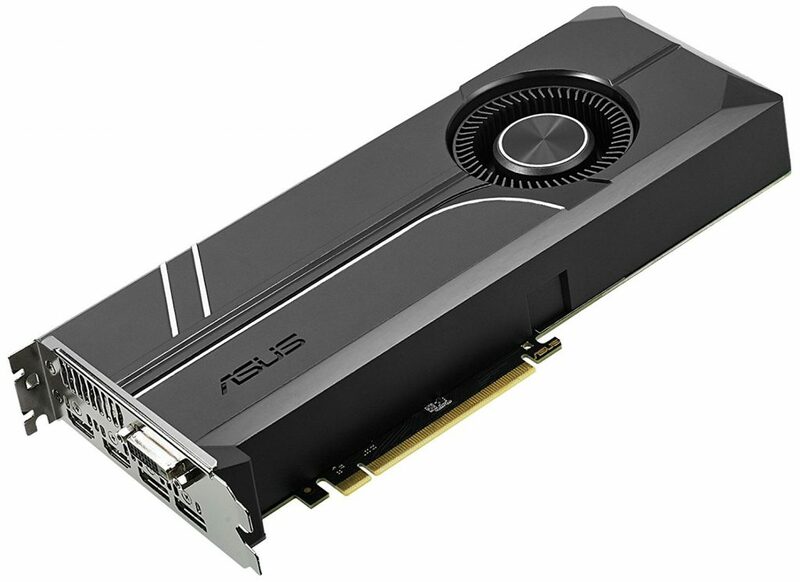 A card like this is overkill for 1080p gaming and I’d advise to maybe look towards a cheaper desktop if you only plan to be gaming on a 1080p resolution monitor. The reason why is because the 1070 Ti is more meant for 1440p gaming, 4K gaming and virtual reality games. It’s also great for game engines with all of the specs that are behind it. I suppose if you’re looking for a build that’s able to handle most if not all games with a 1080p monitor that has a 144Hz refresh rate to have that constant FPS over 60 then this would be a good option. It’s still more than you need in that context but something like this also gives you future-proof power for whatever else you plan to play in the years to come. But it’s not just the processor and video card that makes a good gaming PC. You have to factor in all of the other pieces of hardware as well to get an idea of what it’s really worth. This also has 16GB of DDR4 RAM, a 2TB HDD, a 240GB SSD, built-in wifi and a keyboard/mouse combo that comes with. 16GB of RAM is the standard when you’re wanting to be set for the future of games and programs alike. 8GB is still enough for games today but you need more than that if you want to have quality performance in VR and for games down the road. Having this much RAM also helps a lot with multi-tasking and using programs that you need with content creation in mind. A 2TB hard drive tagged along with a 240GB solid state drive is plenty of space for everything you’d need. Windows 10 is pre-installed on the solid state drive so you’ll be having crazy fast boot times and then there’s still some room left for programs or games that you’d want installed on it. Then you have a 2TB traditional hard drive for everything else that you’d need to store. I’d recommend installing programs such as Steam or your other most used programs to the solid state drive for the fastest usage. It comes down to how much space you have and what you’re installing. Although a direct connection with Ethernet is really the way to go, this is also able to connect to an internet connection wirelessly with built-in wifi. I don’t see this as an entirely essential feature but why not have it included? Then you’ll also get a keyboard and a mouse that comes with. I’d personally be upgrading these peripherals to something better and flashier but that’s up to you to decide. These peripherals are well made, the keyboard has all of the keys you’d need and the mouse is for sure enough for gaming, at least for getting started. With all of these other hardware specs combined with the 1700X and the GTX 1070 Ti… it’s hard to not to recommend this PC. It’s more than enough for today’s games and it’s also enough for heavy content creators. Then when thinking of the future of the gaming industry you can be comfortable knowing that these specs are set and stone to keep a high quality experience going. This is a great computer for the asking price… It’d be hard to match up with this price even with a custom build of your own that use all of the same hardware. That with the warranty from CyberPowerPC, it makes complete sense to go with this. The CyberPowerPC Gamer Master GMA6400CPG is one of the best pre-built PCs that you can get right now and if you’ve never experienced the performance power of a rig like this then you’re in for a treat if you end up going with this one. You should also look at all of the reviews that have been posted on Amazon, there are also a bunch of photos taken of the PC from real users so be sure to check them out! Is this your first high powered gaming rig? Tagged cyberpowerpc, gamer master, GMA6400CPG, gtx 1070 ti, ryzen. Bookmark the permalink.